Time tracking via spreadsheet is tedious. Try our online time tracking for free for 14 days. 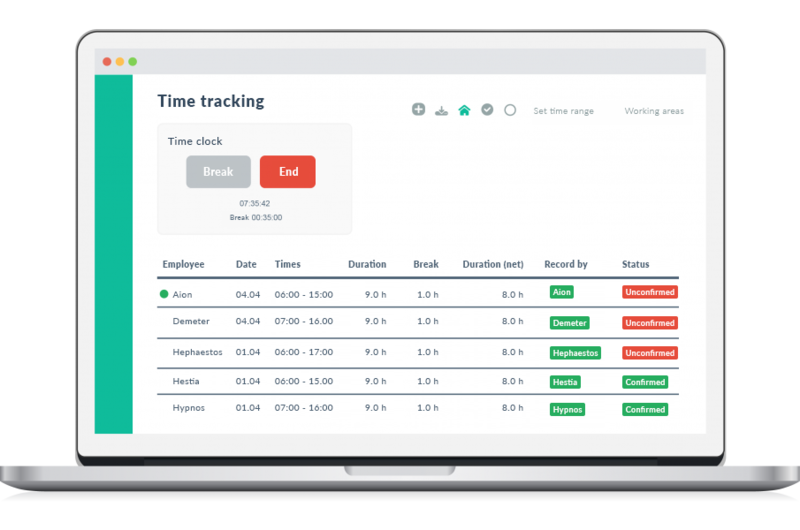 Choose how you want each employee’s hours to be tracked. 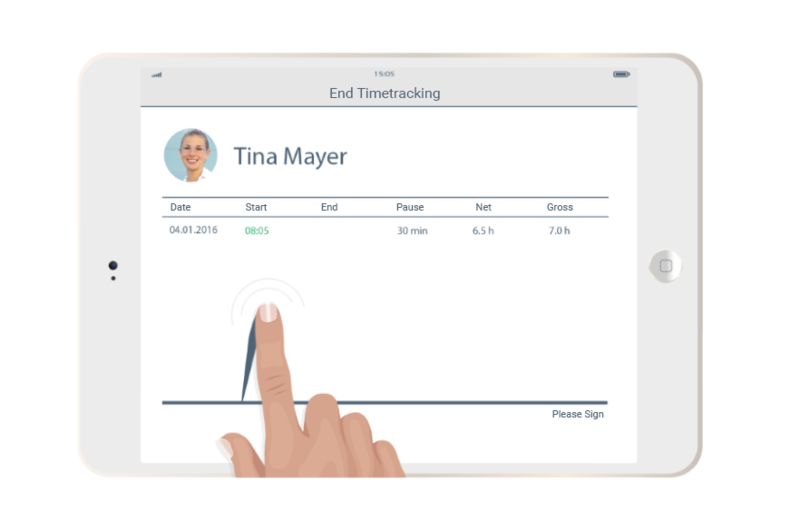 You can choose between our online time clock, time clock app or several other apps. Employees clock in online directly through the computer. If necessary, you can define which IP addresses are authorised. Employees clock in on a fixed device and can verify it by signature or PIN. Allow your employees to clock in on the go and transmit GPS data if needed. Or you have working hours automatically generated from the shift schedule and allow employees to make corrections if necessary. All you have to do is confirm them. Define your own time tracking policies for all your needs. For example, prevent employees from clocking in before their scheduled shift starts or automatically have them clocked out when it ends according to the shift schedule. If employees forget to clock out, you can have the system notify them after a specified number of hours and automatically clock them out. 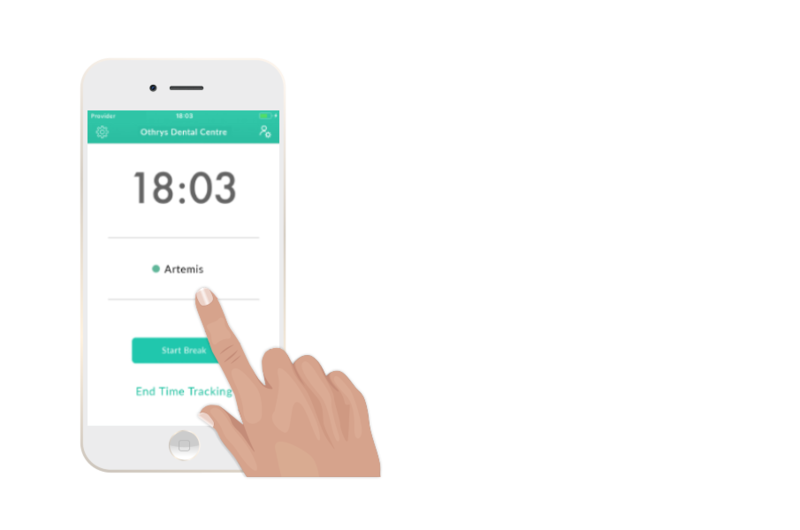 Papershift keeps track of all clock-in and clock-out times for you, right down to each and every break. This will help you fulfil your obligation to keep orderly records documenting your employees’ working hours. Export everything with just one click and store them separately on-site. Papershift will only delete information when you specifically request it. Export all your data in various formats. Take care of your payroll accounting by having Papershift prepare DATEV-compatible exports for upload in DATEV. 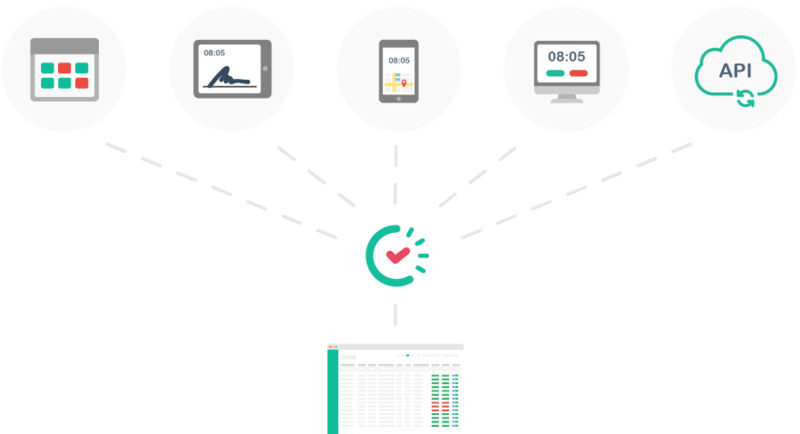 Whether online, via app or mobile, Papershift will collect all of your logged times and store them in one place. Analyse and evaluate all your information in real time and create reports for budget planning. Compare the data with external data in Papershift to gain a more accurate understanding of your business. Benefit from our distinguished support options and see for yourself why so many of our customers are satisfied with our services. We work with you to adapt Papershift perfectly to your needs and automate your processes as much as possible. Papershift has been awarded for its solution in shift scheduling, holiday planning and time logging by a top-notch panel of judges. Try it for free and without obligation for 14 days.